The Civil War… with zombies? 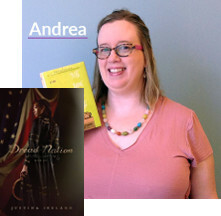 Dread Nation by Justina Ireland combines fantasy storytelling and the dark history of racial oppression in the U.S. in this genre-blending YA novel that’s a little bit historical fiction, a little bit steampunk, and only sort of about zombies. When the dead walked at Gettysburg, all thoughts of rebuilding the nation fell away. A new law declared that young people of color must attend combat school to learn how to defeat the dead. Fresh from combat school, Jane finds herself in the clutches of powerful enemies who see her as less than human. In the war against the dead, she never expected that the living might turn out to be her biggest danger. Q. Read a book of fantasy or magical realism. Y. Read a book from the Young Adult collections.